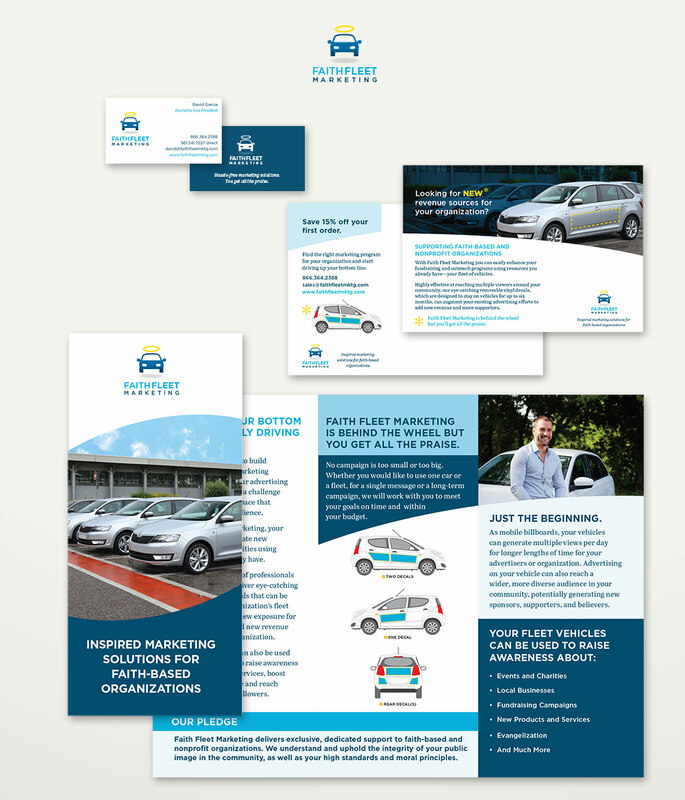 Identity design for Faith Fleet Marketing, a dynamic marketing company which works exclusively with faith-based and nonprofit organizations to deliver turnkey fleet advertising solutions. Provided concepts, branding (logo design, fonts, brand message, colors, image style), and print deliverables including brochure, postcard, and business cards. Also provided copywriting and editing of company's core messaging and content. In addition to designing their identity and print materials, I also designed and developed their website.